The major addition to the stadium will be a second level behind home plate that is to include six suites and a club level with seating for 250. The new club level will be available to groups and individual fans during games. Additionally, the club level will double as banquet space during non-baseball events and may be used 365 days a year. – An expanded team store that will double the size of the current store. – Expansion of two concession stands that will increase points of sale by 50 percent. – Additional restrooms that will double the number currently available. – An expanded customer service center. – A larger administrative office. – An improved home clubhouse that will include a new player lounge, a new meeting area, and expansions to the weight room, the training room, and coach’s offices. – Additional storage areas for team, food and beverage, and merchandise. – Replacing the current cement block façade of the stadium. The renovation work is scheduled to begin on the day after the 2012 season ends and will be completed in time for the start of the 2013 season. 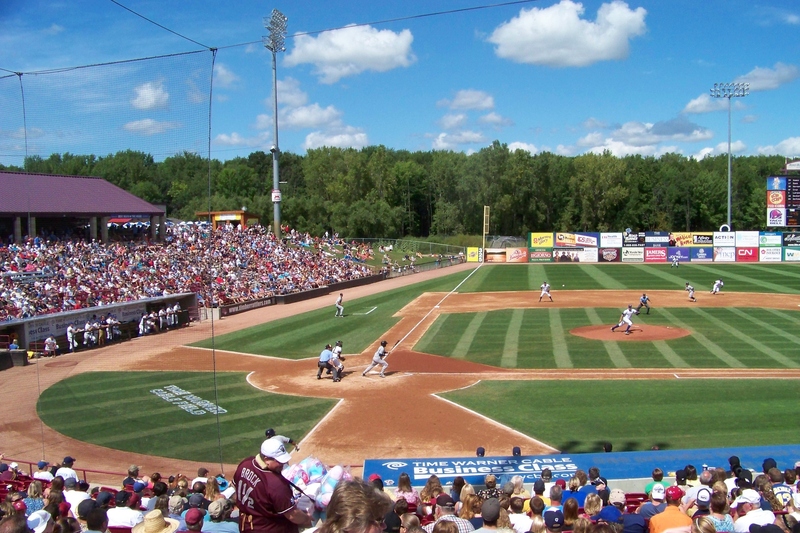 Fox Cities Stadium opened in 1995.